If you are looking forward to studying in Hong Kong and are not a resident of the country, then you should be aware of the following information. First of all, you should choose the course you want to pursue in a Hong Kong School / University. After that, contact the school /college/university for seeking admission. If the local educational institution confirms your admission eligibility, it is only after that that your visa application can be processed. Those students who are mainland Chinese residents may request for entry permit instead of visa to the Immigration Department. Similar to visa permit, a local sponsor is equally important to study in Hong Kong. Before visa application, you would need a local sponsor who could declare to sponsor your education. This sponsor could be educational institution you are looking up to or could be a resident who is financially capable of sponsoring your education. Your educational institution or University might help you find a local sponsor for you. In the case, ‘Declaration by Financial Sponsor’ should be completed, signed and submitted for further process. 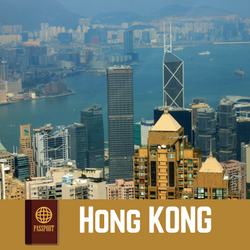 Since a visa is a precondition to your admission procedure and your plans to study in Hong Kong, it is essential to understand the types of a student visa. The type of student visa depends on type and duration of your course / educational program. If you are aspiring for full time and long-term graduate course, the visa duration would certainly be different from that of full-time postgraduate course, part-time graduate/postgraduate programs, short-term graduate / postgraduate programs and exchange study programs at bachelors or above level. However, in either case, seeking a visa is mandatory before entering the land of Hong Kong as per the law. A photocopy of your letter of admission from a university in Hong Kong and your letter of acceptance to the specific course. One passport sized recent photograph. Photocopy of Highest Public Examination/Academic Result along with transcripts, awards, and certificates. Photocopy of other qualifications such as IELTS or TOEFL (which is required for applicants whose mother tongue is not English; UK and US natives may not need it). Proof of your financial condition. Proof of scholarship funds, bank statements, passbooks, etc. (This is to prove that you can afford education and living expenses at Hong Kong. A proof of HK$120,000 approximately is expected, rest depends on the educational program under consideration). Evidence of your accommodation arrangement in Hong Kong. An undertaking by the sponsor to provide you accommodation can also do the needful. By any chance, if you fail to submit even one relevant document, your admission could be at stake, as you may not get a visa or there could be a delay in seeking a visa. It is wise to cross check all the documents before submission (whether you have compiled all documents and all are duly filled/attested as per requirement, etc.) and also keep in touch with the immigration department of the University so that you can make up for anything missed. You can also check the status of your application time to time online. Also, it is advisable to complete and submit the necessary documents before time (starting of the academic session) so that you may have time in hand to finish anything left out. Where to submit Visa application and related documents? Submitting the documents at the right place and through a reliable channel cannot be overlooked. You can send the documents either directly by post to Receipt and Despatch Sub-Unit, Hong Kong Immigration Department, 2/F, Immigration Tower, 7 Gloucester Road, Wan Chai, Hong Kong. The post may also be sent to your chosen local sponsor. Applicants from abroad may submit their applications to the nearest Chinese Embassy. It is advisable to get in touch with your concerned educational institution to understand the procedure better. Most of the educational institutions lend a helping hand to help the applicants do all the necessary formalities and sometimes even complete the process for them. By when can you expect Visa approval? If you succeed to submit all the necessary documents astutely and if they are approved by the Immigration Department then the whole visa process may take up to 6 weeks to complete all the necessary formalities. Duration of your approved visa will depend on the duration of your study program. When to renew your Visa? Overstay after the expiry of visa is strictly prohibited. Thus it is suggested to apply for renewal of visa at least one month before the expiry of old visa if you plan to stay/study/work after completion of the study program, as the case may be. Accordingly, you can choose your application form and proceed for further formalities. Studying in the economic hub of Hong Kong would certainly add colors to your career as four universities here have been ranked amongst top 200 universities in the world and 35-50 graduate and postgraduate courses are being offered here.